67 110 PG car. Going to 3.0L with 92MM VW P&C's. 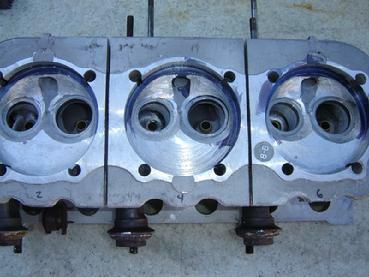 Heads getting an extra carb pad welded on and big valves. 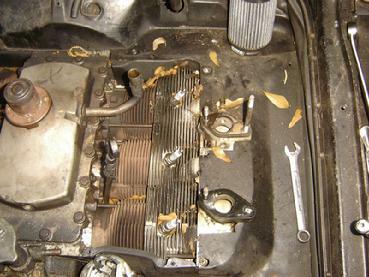 Here are a couple of pics while removing your engine. 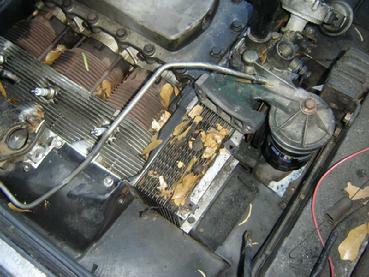 Note all the leaves - this engine would have over heated badly if run this way. 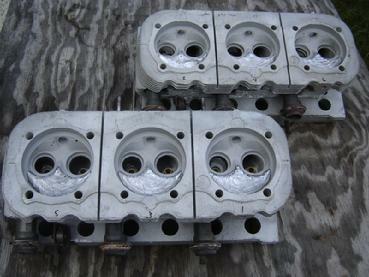 Here are the case and heads after returning from the local machine shop. They soak them on a caustic solution and then steam clean. 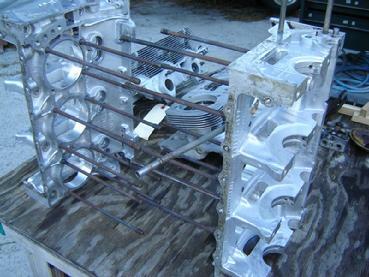 Quench is welded, next is the flycutting to clean up the weld and open the chambers for the big bore cylinders. Heads are flycut, seats and guids installed. I still need to grind a bit in the chambers. Once I finish the valve job I'll CC the chambers to get a final compression ratio for the street. Pins are DLC coated. The pin for this engine is on the right. They originally looked like the lower pin. 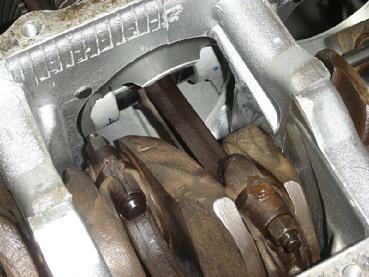 Slight mods on the connecting rods. The small end is opened up for the VW pins. Here I am adding grooves at the big end cheek so oil can squirt out to the underside of the piston. This will help lower piston temps. Here are 3 pics of the first trail assembly. 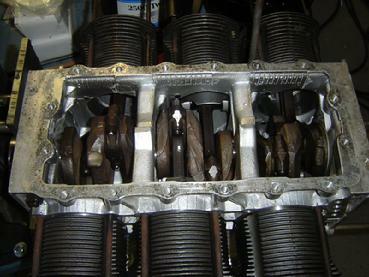 With this I am checking the piston to block clearance and the connecting rod to piston clearance. 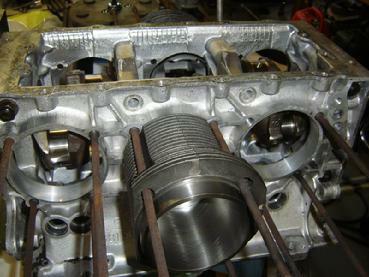 I had to machine the pistons for rod clearance and also grind the rod cap a bit for the same area clearance. 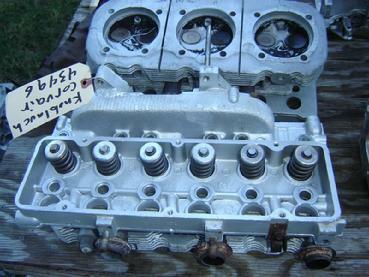 With all the piston/rod assemblies fit on the crank the engine turns over fine. Next is the cylinder length cut.